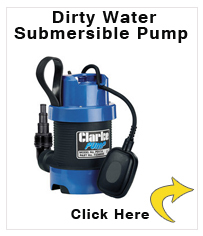 The Clarke PSV1A Water Pump is designed particularly for heavy duty applications. This robust, powerful water pump is ideal for rapidly shifting both clean and dirty water; in fact, it will move solid water borne objects up to 30mm in diameter! 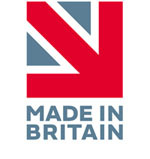 Therefore it's ideal for draining pits, sumps, ditches and footings etc. And it's made from tough, durable corrosion proof materials, and has a really reliable & low power consumption 230V motor, for cost effective long term use. It's also fitted with a float switch for automatic water level control, and an anti airlock valve too.